Different Exchange EDB files maintain different mailboxes in it. Therefore, a user can view all of them using Exchange EDB file viewer software. 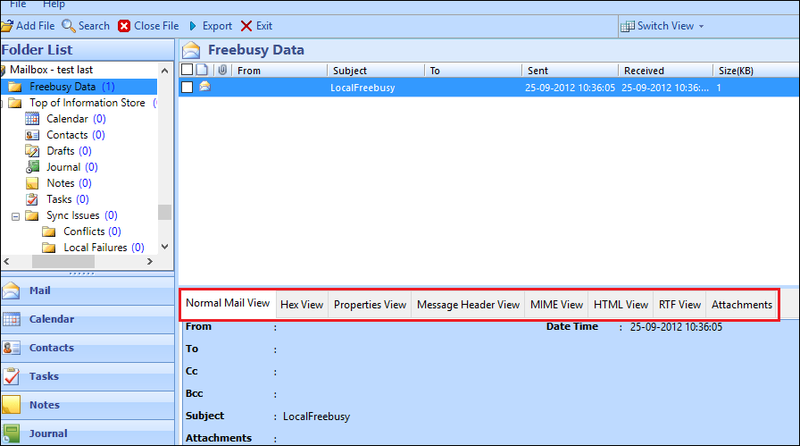 The tool loads all the mailboxes available in an EDB file along with its data item. Apart from this, the software provides an instant preview of data items such as emails, calendars, notes, contacts, tasks, journals etc. Each item that EDB file viewer software previews has some associated properties as well. With the help of this software, a user can view all these details associated with the attributes such as subject, from, to, date, first name, display name, email address, etc. 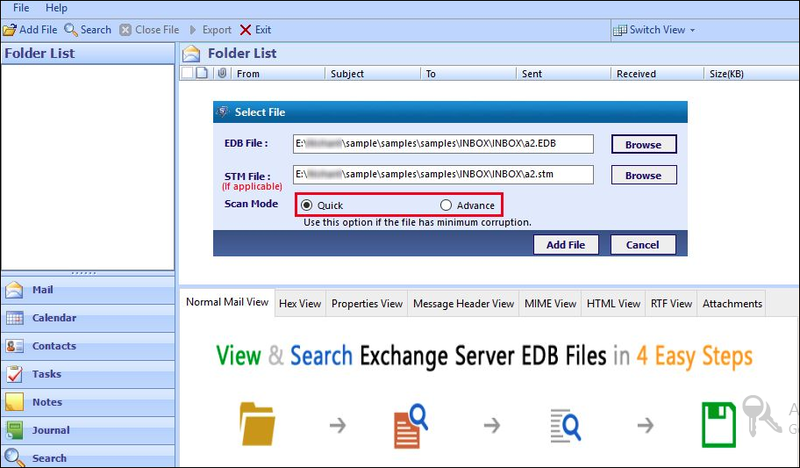 In addition, the EDB file reader maintains the email attachments or STM file also while viewing emails from Exchange EDB file. Another proficient part of this tool is that the Exchange EDB file opener will open and preview even corrupted EDB file of Exchange mailboxes & items stored in it. To recover the severely corrupted EDB file, the software performs an Advance Scan mode. But, in the case of healthy EDB file, one can switch to Quick Scan mode. 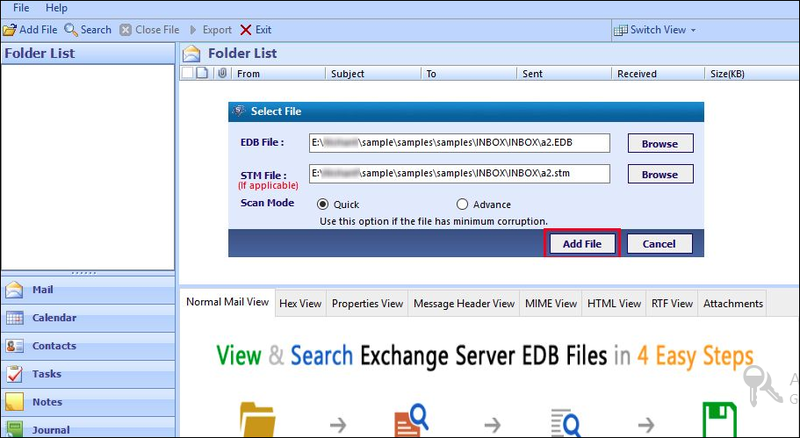 A user can use this Exchange EDB viewer and recover the corrupted EDB file from the both folders of Exchange Mailbox i.e: "Repair Exchange server Private store database" and "Repair Exchange server Public store database file". After repairing data from EDB File Viewer, there will be no change in the original formatting and integrity of EDB file data. With the help of this Exchange EDB File Opener, a user can open & view EDB file in two different modes i.e. Horizontal View & Vertical view. One can select any of the two modes to open & read EDB file emails according to their convenience. A user just needs to click on the Switch View button to change the mode to view the file. Another benefit of using this EDB File reader is that apart from viewing Exchange EDB file, a user can view all technical details also associated with each email. The technical attributes include Normal View, Hexa View, Property View, Message Header View, Attachments, etc. 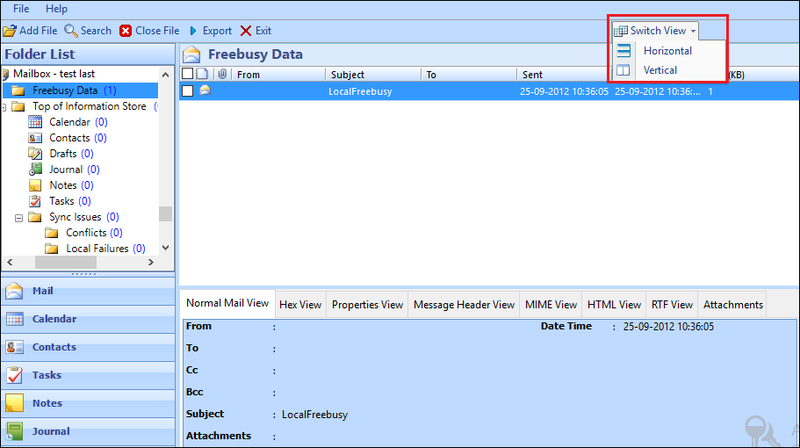 Is it possible to preview attachments associated with emails using this EDB File Opener? Yes, a user can easily preview all attachments associated with each emails using this software. One just needs to click on Attachment tab after viewing EDB file. Does the EDB file reader is totally free of cost to download? Yes, the EDB File Viewer is completely free of cost. One can download it from our official website. Can I view corrupt Exchange EDB file also with the help of this tool? Yes, using an advance scan mode of this EDB File Opener, one can view even corrupt EDB file. Can I read EDB file without having Exchange Server Environment on the local machine? Yes, one is allowed to view EDB file without installing Exchange Server on the system. 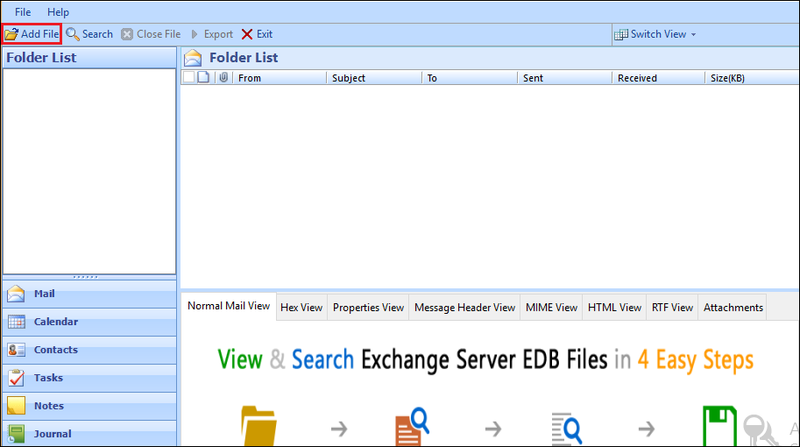 Is it possible to view data of Exchange Mailbox Public folders using this EDB file viewer? 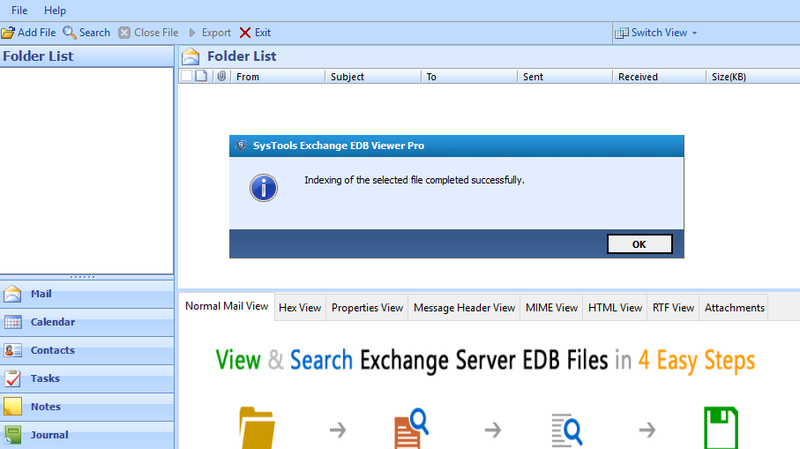 Yes, this EDB file viewer allows users to view even Exchange Mailbox public folder data. 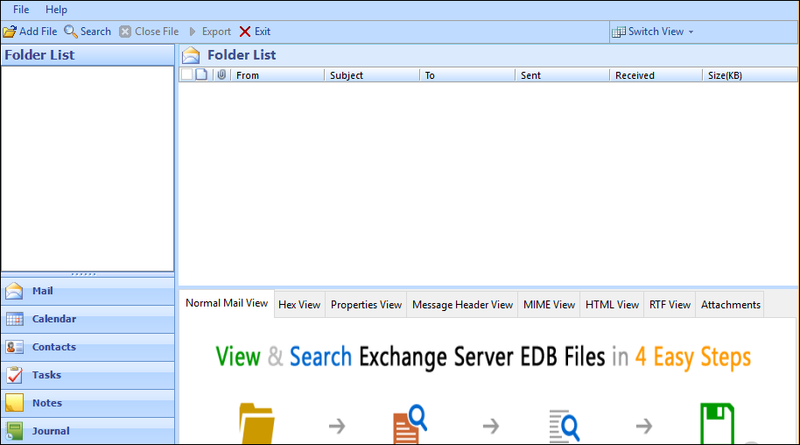 "I must say that it is an excellent tool to open & view EDB file of Exchange Mailbox. The best part about the EDB file viewer is that it is easy to operate tool compared to other available software. 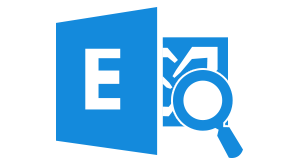 Moreover, the tool scan & recover the corrupt EDB file, which makes this tool more attractive toward its users. Thanks a lot to the developers for developing such a great utility making this tool available for free." "After being a freeware, the Exchange EDB file opener is an amazing utility with some many features and zero false promises. Hats off to the development team for developing this software. It scans & recovers all my Exchange Mailbox EDB file and provide a preview of all data items stored in it."